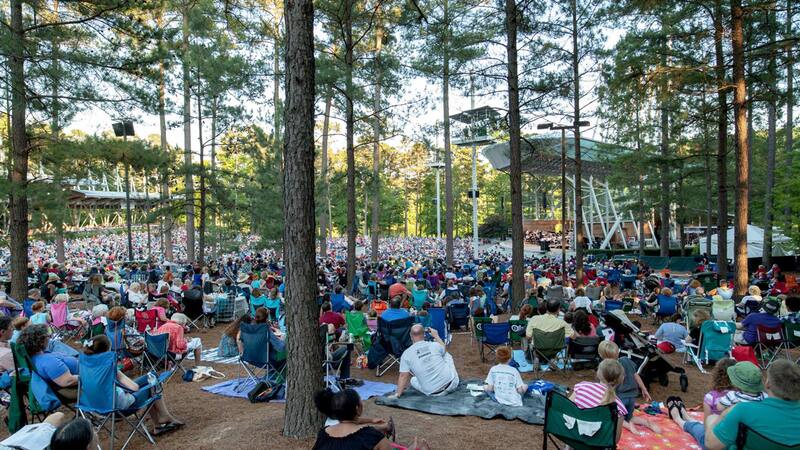 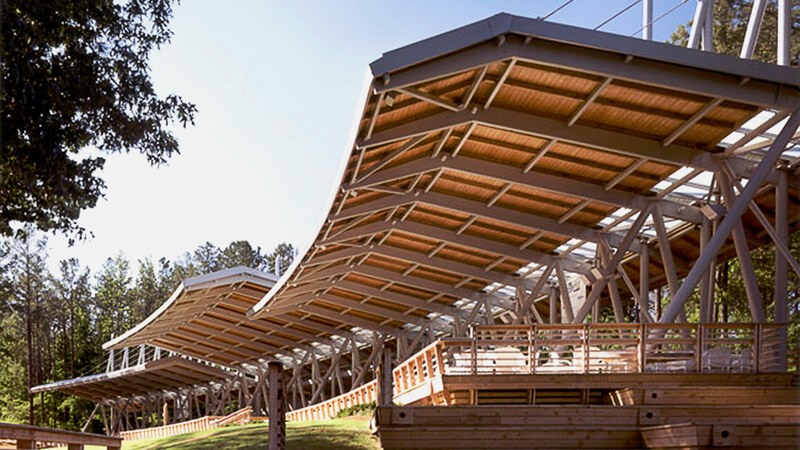 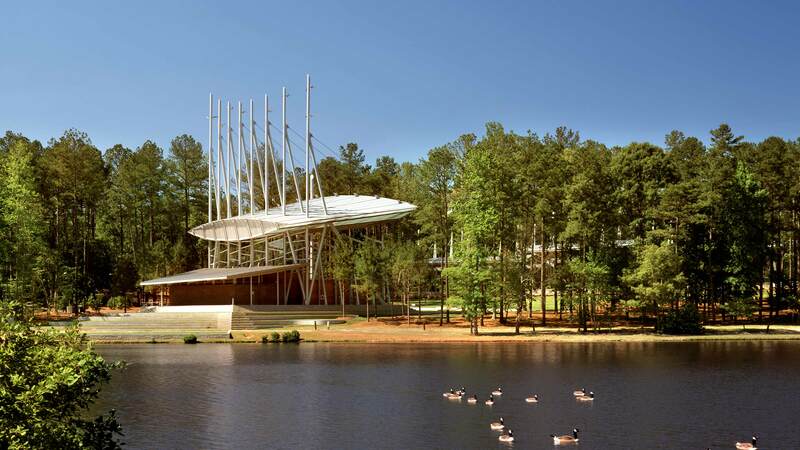 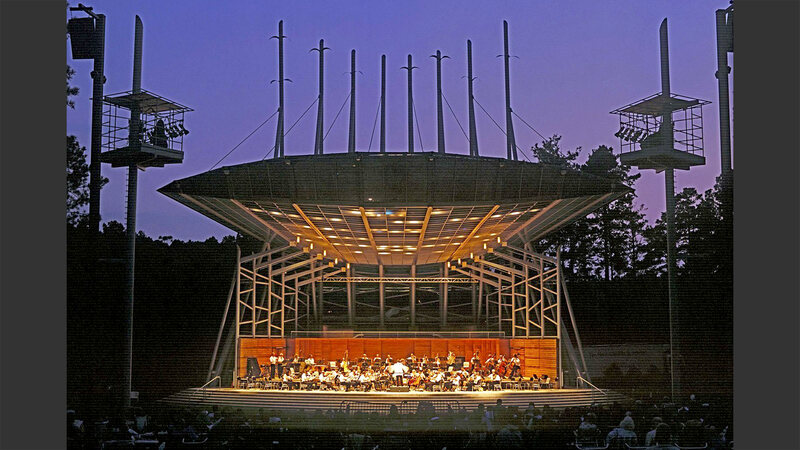 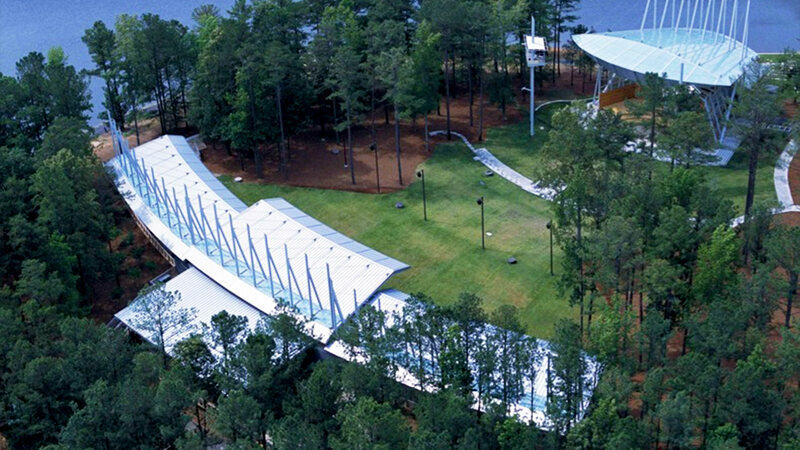 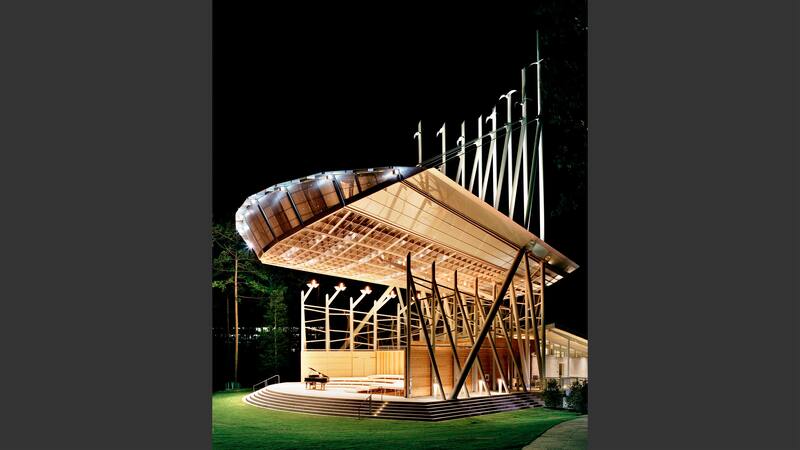 The steel skeleton of this amphitheater is reminiscent of the stand of tall trees into which it is tucked. 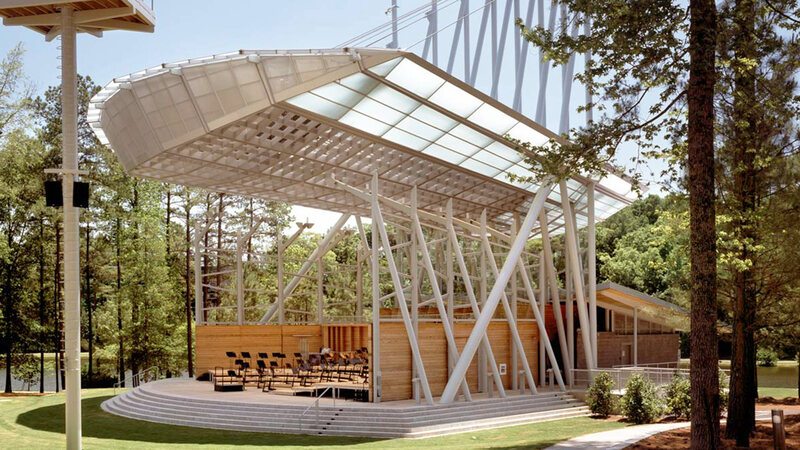 Atop the stage is a roof so light and unobtrusive to the patrons of this venue, that additional mass – via the addition of concrete blocks– was introduced to prevent the roof structure from blowing away during a windstorm. 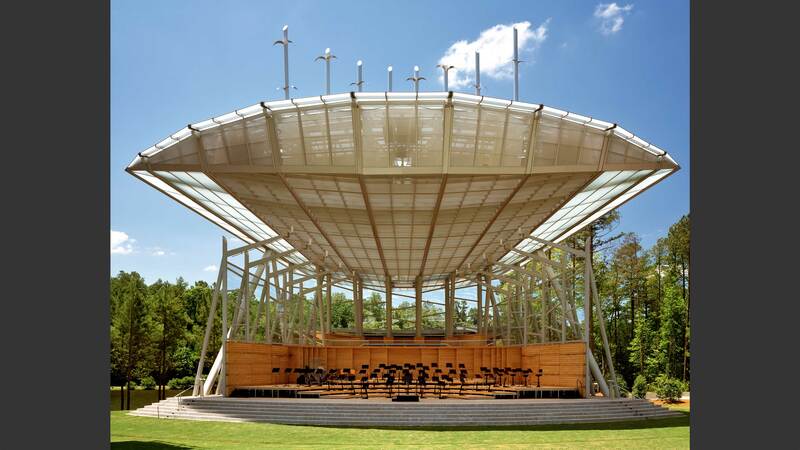 Opposing the stage is a seating structure of similar inspiration, the result of which is to experience this venue immersed in the natural setting of the site.